Does a bullet's rifling marks impact it's flight? It's an interesting question, and one I hadn't spent much time thinking about until recently. But it seems reasonable to assume it might, given how small changes to a bullet's design can significantly affect the way it flies through the air. A change to boat tail angle or meplat diameter can demonstrably change a bullet's ballistic coefficient, for example. But rifling? It's so shallow. Does it really matter? It turns out the answer is yes, but only a little bit, and not enough to care about. Thankfully, I'm not the only one to take an interest in the subject because it takes a lot of work to sort out. The folks at the US Army Research Lab did a bang up job at addressing the question in a technical paper titled Effect of Rifling Grooves on the Performance of Small-Caliber Ammunition, a surprisingly clear title for such a technical paper. The paper assumes a good bit of ballistics knowledge on the readers part, so I thought I'd summarize it here in a more accessible form. Basically we have a situation where a projectile is moving forward through the air while spinning at a high rate about it's own axis. That projectile has helical groves in it's bearing surface left by the rifling that gave it that spin. Typically they're shallow - on the order of 10 thousandths of an inch. As the bullet begins it's flight, the air flow relative to the grooves is more or less in line with the grooves. That is, there is no significant component of the airflow that causes it to blow across the grooves. However, that will not remain the case. Bullets lose forward velocity quite a bit faster than they lose spin. So down range, you have a situation where there is a crossways component to the airflow which means that it is blowing across the rifling grooves. Intuitively, this seems to imply that the effects of bullet rifling might be greater at long range. But even so, how much do they matter? And what does it impact? In order to really explain how rifling effects ballistics, we need to get into some pretty technical details. This goes beyond the normal discussion you'll find in a reloading manual, so bear with me for a bit and hopefully it will become clear. We are used to each bullet having a ballistic coefficient that determines how that bullet moves through the air. A ballistic coefficient represents a combination of effects, and is a nice way to express the ballistic behavior with one number. 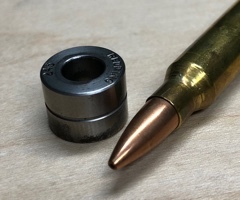 It works well for simple calculation methods that assume that the bullet can be treated as a point mass (that is, methods that ignore the spin, pitch and yaw of the bullet). But rifling is a subtle effect that is closely related to spin, so we need to look a little deeper. It turns out that there are lots of coefficients that must be used to describe a bullet if you want to fully account for a bullet's motion. For the purposes of this article, we care about three of them. The drag coefficient is closely related to the ballistic coefficient known to shooters and widely published by bullet manufacturers. It is slightly different in that a drag coefficient is an indication of a given bullet shape's impact on the drag force it feels, where as a ballistic coefficient also takes mass into consideration. There are a lot of reasons engineers use drag coefficients, but they're not worth getting into. Just know that it is a measure of how much drag an object will experience and is dependent on shape, air speed, air density, and other things. A high drag coefficient means more drag, and necessarily implies a lower ballistic coefficient. Since the rifling changes the shape of bullet somewhat, it seems reasonable to wonder if it impacts the drag coefficient. 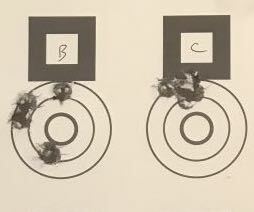 It's not a big change in shape, but drag is so fundamental to a bullet's behavior that it's a good question to ask. The drag coefficient is important because it impacts a bullet's drop and wind deflection. A "moment" is just a fancy word for "torque", which is just a twisting force (as opposed to a linear force). When a projectile is spinning in the air, that spin rate starts to slow down as soon as it leaves the rifling. How quickly that happens depends on the spin damping moment (also called the roll damping moment). Much like the brakes on a car slow the rotation of the wheels, the spin damping moment slows the spin of a bullet. 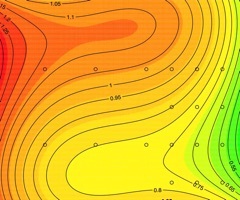 The magnitude of the spin damping moment depends on quite a few variables including air density, spin velocity, and a catch-all term known as the spin damping coefficient. It seems pretty reasonable to assume rifling geometry might impact the spin damping coefficient (sort of like a paddle wheel). The spin damping coefficient is important because it determines how much spin a bullet retains, which impacts a bullet's gyroscopic stability down range. The Magnus force is a force that comes about when you have an object spinning in a fluid (like a bullet spinning in air). The difference in velocity between the air flow on one side of a spinning object to the other causes this force. 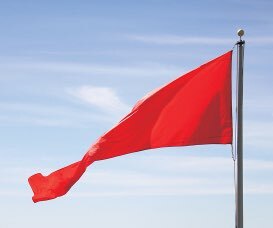 This is the force that causes baseballs to curve. Because the Magnus force is offset from the bullet's center of gravity, it causes a moment (that is, a twisting force), which is what we care about here. Again, because the rifling is directly in contact with the air that causes the Magnus force, it seems to follow that the Magnus moment might be impacted by rifling. 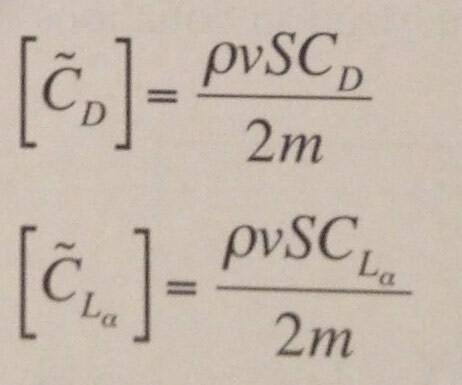 Much like the spin damping moment, the Magnus moment depends on a variety of factors, including a quantity known as the Magnus moment coefficient. 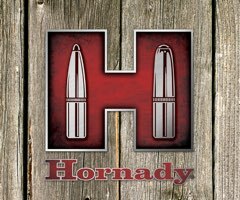 The Magnus moment coefficient is important because it has an impact on a bullet's dynamic stability. "How much does it matter?" At the Aberdeen Proving Grounds, the US Army Research Lab approached this problem from two angles. 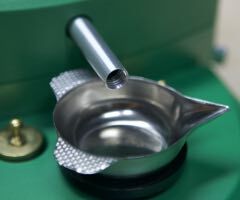 They used some sophisticated mathematical techniques to calculate the effects of rifling on the various coefficients. That is not a simple endeavor. The complexity of these calculations is one of the motives for the study. It would be really nice to know you can ignore rifling if, in fact, you can. They also shot some bullets and measured the effects of rifling, which allowed them to indirectly measure the coefficients. It's a difficult an inexact science, but it is possible to get some approximate numbers that should verify or refute the accuracy of the mathematical predictions. So what did they find? First, that the calculations were a reasonably good fit to the experimental data. That's good, as it gives us some confidence that we can use calculations to predict this sort of thing. They also found that the rifling did not impact the drag coefficient significantly, or for that matter, any of a bunch of other coefficients that I didn't tell you about. What it did impact, albeit only very slightly, was the spin damping coefficient and the Magnus moment coefficient. 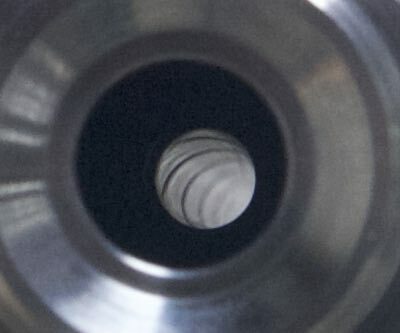 The spin damping coefficient appears to be measurably smaller for a non-engraved bullet, but only in a relatively narrow velocity band between mach 1.5 and mach 2.5. Otherwise, the differences are very small. Put simply, a rifled bullet's spin rate will decay slightly faster than a non-rifled bullet's. This will have a very slight impact on bullet stability in favor of the unrifled bullet. But certainly nothing worth worrying about. They also found some very small differences in the Magnus moment coefficients, but only at low mach numbers (mach 1.1). This is to be expected, as the flow is more cross-ways to the rifling at low velocities. Even so, the authors of the study stated that the increase in the Magnus moment coefficient was barely outside of their ability to measure - in other words, small. In a nutshell, it doesn't matter. The effect of rifling is so small that it is not worth considering. Any of the tiny effects are only to be seen at long range when the bullet nears the transonic region, if at all. This study is not exhaustive, however. Due to the nature of experiments like this, there is a good bit of uncertainty in the data, and you'd always like to see more. Subsonic effects were not addressed at all, and the scope was limited to one 5.56mm military bullet. 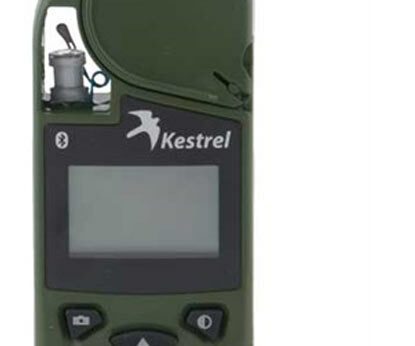 Recently, bullet manufacturers have taken an interest in long range bullet performance, and have invested in Doppler radar capabilities. 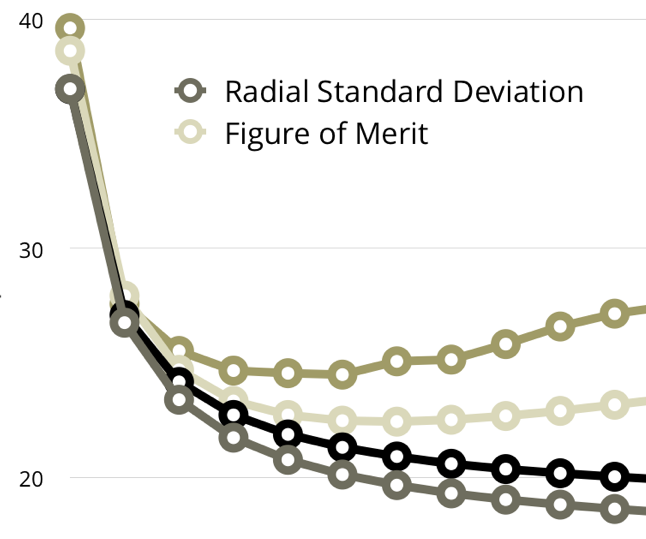 It would not surprise me if we learn a good deal more about this topic in the near future, especially as it pertains to rifling's impact on drag coefficient. Honestly, this is all kind of academic from the shooter's perspective. There isn't much to take away here that matters. Rifling is not optional, so even if it did have a big impact it's not like we can do anything about it. The one thing that I can think of that is somewhat useful is that given that the difference between normal rifling and no rifling is so small, it stands to reason that there is no point in worrying if non-traditional rifling (polygonal or 5R, for example) matters either. And with precision shooting, knowing what not to worry about is half the battle.